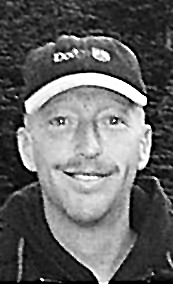 Wesley Brian Croucher, 41, of Libby, passed away Tuesday, May 15, 2012, while on vacation in Fairmont Hot Springs. He was the second of three children born to Ed and Chris Croucher of Eureka. Wes was born July 13, 1970 in Kalispell. He graduated from Southwest High School in Jacksonville, N.C., in 1988. He earned a degree in electronics from Delgado Community College in New Orleans, La. Wes joined the United States Navy in 1989 at age 19 in Pensacola, Fl. He served throughout the United States, Europe, Caribbean and the Far East. Wes married Elena Prichard in New Orleans, La., in December 1995. They were married for 14 years. Wes retired from the Navy as a chief petty officer after 20 years of honorable service. He moved to Libby in 2010 where he enjoyed his hunting and fishing. Wes had a big heart and was loved by everyone who met him. He was a son—his mom was his ‘rock’; husband; brother; and a best friend. His oldest brother Donal preceded him in death. Survivors include his parents, Ed and Chris Croucher of Eureka; and brother Scott Croucher and wife Pam of Ft. Worth, Texas. Services were Monday May 21, 2012, at the Libby Christian Church in Libby followed by burial with military honors at the City of Libby Cemetery. Local arrangements are by Schnackenberg & Nelson Funeral Home in Libby.